Taloa carried Captain Donald Marvin with Joseph Dubinsky's crew on the fateful mission to bomb the Battleship Haruna. Kneeling: David. A Bushfield (Radio operator); Camilous P. Kirkpatrick (Waist Gunner); Charles C. Baumgartner (Lower Ball Turret Gunner); Charles C. Allison (Upper Turret Gunner); Not pictured: Julius Molnar (Tail Gunner). Not pictured here was Capt. Donald Marvin, an observer on his 40th combat mission who piloted most of the Taloa missions. For mission #138 of the 494th Bombardment Group, the Taloa was piloted by Joseph Dubinsky. The strike against the fast battleship Haruna was this crew's 39th combat mission; their 40th would allow them to return to a tour of duty in the United States, but that was not to be. 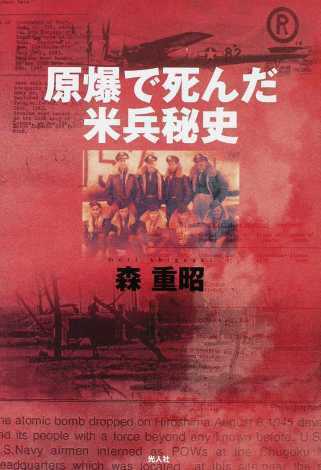 The fate of these men was researched and reported by historian Shigeaki Mori. The Taloa was assigned to pilot Donald Marvin before or early in his assignment to the 494th BG. The 494th Group History states that he made a remarkable decision to volunteer to fly as an observer on the Haruna mission, as told below. The English translation of this book is available on this website. Like Emil Turek and Don Marvin, Joe Dubinsky was a pilot of one of the original crews of the 866th Squadron of the 494th Bombardment Group. Dubinsky's crew named their B-24J #44-40731 'Til Then. The men experienced several notable events during and between their combat missions. They were among the first 494th BG crews to fly a combat mission in November, 1944. They flew numerous bombing missions through the next February when the men were granted "10-day leave" in Sydney, Australia. When Marvin's crew returned to Anguar from Australia, Dubinsky (along with Turek) left for Sydney, and did not return until 25 March, a leave of 34 days, extended ~5 days due to "transportation problems". Rolf Slen reported that it was 30 day assigned leave. Perhaps as a result of the transportation problems, later crews were granted R&R leave to Hawaii rather than Sydney. In May, recorded as one of the worst accidents on Angaur, the Co-pilot undershot the runway and crashed, likely as a result of mechanical failure. Although none of the men were seriously injured, 'Til Then was destroyed. The Squadron reported that the aircraft landed short of the runway without stating the reason. Rolf Slen chuckled over the incident, and recalls being told that sparks flew all the way down the runway and that the story was that the Marines onboard for a joyride were so eager to disembark that they jumped out before the plane came to a stop. All the pilots involved continued to fly missions immediately after the incident, so it is unlikely that the crash was attributed to pilot error. As participants in another first for the 494th Bombardment Group, Dubinsky, Marvin, and Tom Cartwright were among the 12 crews that made up the two 866th Squadrons to bomb China from Okinawa. Weather conditions were poor for bombing missions to Japan so Japanese military infrastructure and airfields where kamakazi missions could be launched were targeted. One such target was the Chiang Wan aerodrome, where revetments housed war planes near Shanghai. Two B-24's were struck down by a prematurely detonated bomb on that mission and the survivors relayed dramatic stories of ditching then rescue by Chinese guerrillas, a tragic gunfight, and capture. Flight crews were briefed that 1030 Allied and 900 U.S. POWs worked and were housed in the immediate bomb target area. They were given instructions to evade capture if possible, given "blood chits" on which a request for assistance was written in several languages and identified the men as American, and given Chinese currency. It was the first combat mission for 21-year-old Tom Cartwright and his crew. Once again, Dubinsky had a mechanical failure en route and returned to base without reaching the primary target. 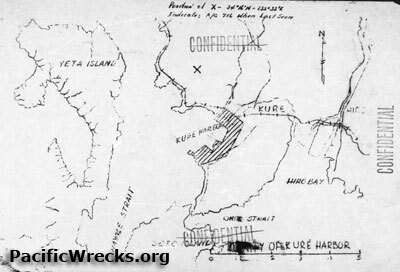 The Haruna mission was the final mission for the Dubinsky and Cartwright crews, and only two of those men returned home after the war. Their fates are told by Historian Shigeaki Mori in his book The Secret History of the American Soldiers Killed by the Atomic Bomb. This map purports to indicate the position of the Taloa when last seen. The crash site, however, was to the west of Hiroshima (viz. Shigeaki Mori) in a location that is today a golf course. Chiang Wan Aerodrome near Shanghai, China. The Missing Air Crew Report for Taloa included this list of next-of-kin. Note: the marker at Jefferson Barracks also uses "O" for the middle initial for Baumgartner. "Flanagin" is elsewhere incorrectly spelled “Flanagan” and his mother's first name should have been spelled "Verdea". Johnston has been confused with another POW. Julius Molnar is shown here, standing at far left. The online newspaper photo caption states that Baumgartner is 4th from left but misidentified in the photo. Born in Sebring, Mahoning County, Ohio, Sgt. Baugartner was last seen by Lt. Tom Cartwright in the Kempetai Military Police Chugoku Headquarters in Hiroshima, Japan, on 30 August, 1945. He died in Hiroshima along with ~10 other American POWs. His remains were returned along with other Americans’ and were buried at the Jefferson Barracks National Cemetery in Lemay, Missouri. Before the war, Sgt. Bushfield resided in Monroe County, New York. He died in the crash of the Taloa a day short of his 24th birthday. His mother, Agnes Bushfield resided in Rochester, New York. Born in Texas (Denton? ), his father, David, Sr., was a barber, his mother a homemaker, and his brother David, Jr. served as a non-commissioned officer, as well. From Willimantic, Windham, CT, Piskor served as the Engineer on the Taloa. His occupation listed on the 1940 US Census was aircraft machinist. The cheerful, buoyant, Don Marvin, one of the original pilots in the 494th Bombardment Group was the usual pilot of Taloa. One version of the story of his demise is that by late July, 1945, his crew was credited with 40 combat missions and were eligible to rotate back to the U.S. mainland. However, Marvin missed a mission that was assigned to his crew back in Angaur after he was injured playing (officiating) volleyball. Despite being told that he was cleared to return with his crew to the United States without completing any additional combat missions, Marvin insisted on participating in all of his credited 40 missions. He chose the 28 July mission to fly aboard "his" Taloa as an observer. Lead Navigator for the 866th on that mission, Rolf Slen, wrote how surprised his squadron flight crew was when Marvin pitched his gear into the truck that would carry Joe Dubinsky's crew to Taloa early that morning––for the Haruna mission. It was a fateful decision. Capt. Marvin was one of the men who was unable to parachute from the Taloa before she crashed in Honshu, Japan, just west of Hiroshima. In 1940, The U.S. Census listed Marvin as a Shearman at a Sheetmetal company near Cleveland, Ohio. His father, Charles, was born in Pennsylvania and resided in Cleveland, working as a taxi driver; his (remarried) mother, Laura Walsh, resided in the Geauga Lake area, today a suburb of Cleveland. The B-24 crew that completed 40 combat missions led by Don Marvin is shown here in front of Lonesome Lady. Emil Turek identified this 494th Group History Vol. 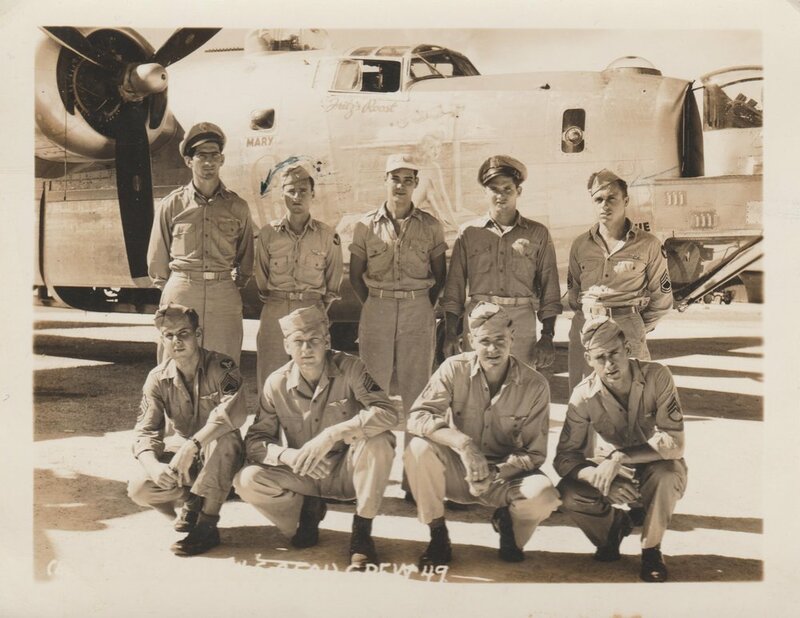 1 photograph in his correspondence, and Rolf Slen confirmed that Don Marvin is standing in the position sometimes reserved for the pilot, far left in the back row.